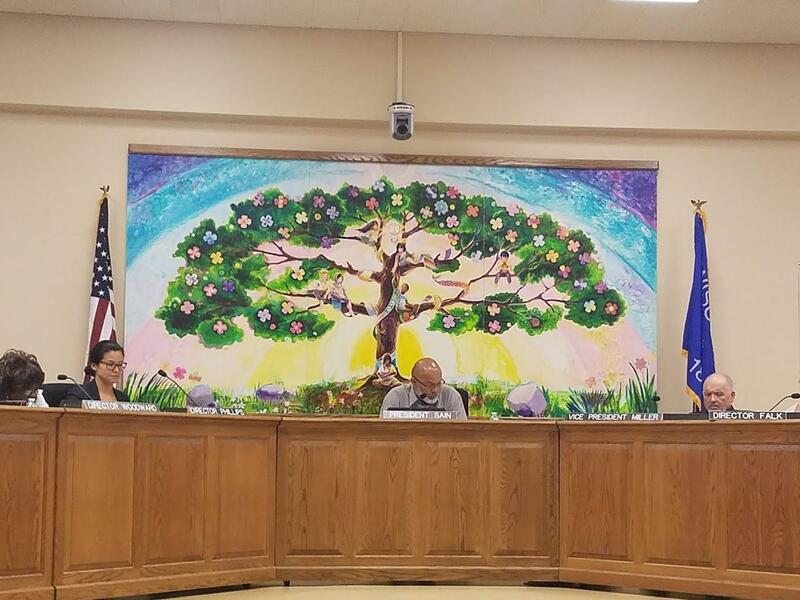 The Milwaukee School Board unanimously voted to approve a $1.2 billion budget for the next school year on Tuesday night. Despite heated debates at previous board meetings, the vote took place without much controversy or conflict. The auditorium was sparsely populated at the board meeting – a far cry from the packed room and contentious discussions in weeks past. According to Milwaukee teacher’s union Vice President Amy Mizialko, the change in tone was due to interim Superintendent Keith Posley’s revised budget proposal. Posley recently took over for Darienne Driver, who left for a job in Michigan. Mizialko says she’s especially happy with the reversal of $11.6 million in cuts to schools proposed by Darienne Driver. “Reversing those and turning those dollars back to school communities so that students can have the most full education experience possible next year, it’s huge for students, it’s huge for educators,” she assessed. 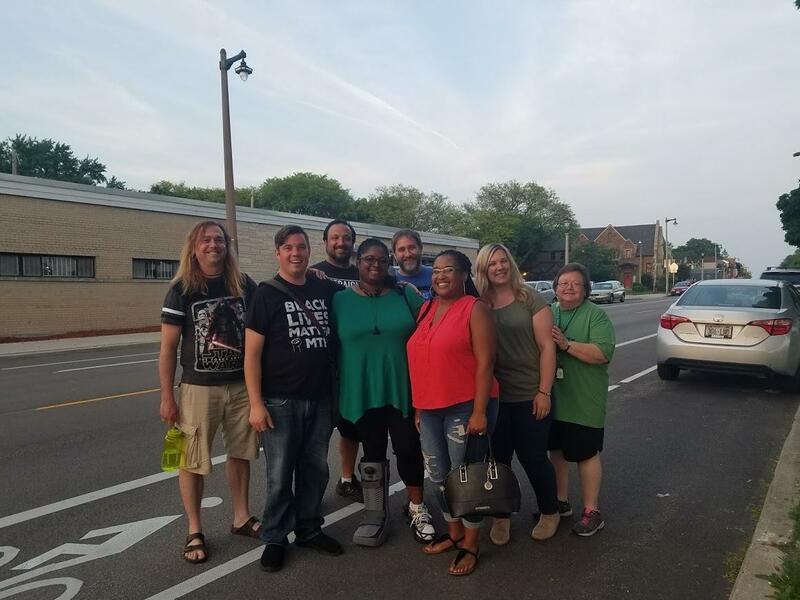 Members of the MTEA Teacher's Union after the school board meeting. Instead, Posley’s budget cuts administrative positions in the MPS central office and slices money from operations, finance and human resources departments. Mizialko says the revision makes the teachers’ union feel respected by the administration. With the changes, that left three relatively conflict-free amendments for board members to discuss at Tuesday night’s meeting. One the board easily approved – the decision to create a pool of 75 full time substitute teachers, granting them health insurance benefits. Another amendment to divert funds away from two new community schools was rejected. The vote will allow North Division and Zablocki to become community schools. Such schools provide wraparound services and include parents, children and the community in decision making. Interim superintendent Posley explained to board members why he’s a fan of the approach. “I think community schools add tremendous value to our portfolio of schools,” he says. Posley says, overall, the budget he backs focuses on students and schools, and allocates resources to improve student achievement. Substitute teacher Alex Brower was among the people who watched the board approve the budget. He had been on a hunger strike for the last three weeks, in an attempt to win health care for every full-time substitute teacher. Brower says the final budget wasn’t perfect. But he says the spending plan had a number of “wins,” including approving health care benefits for a majority of full-time substitute teachers. “It’s still a victory that they’re acknowledging that we are real employees and that we contribute to the classroom, and they’re providing health care in some way,” he says. But, he was a bit disappointed that the health insurance coverage doesn't start at the beginning of the school year, and instead, starts in January 2019. He also added that there’s still work to do in getting all substitute teachers covered. Brower adds that the restructuring of central office is welcome, and that it could go further. And Amy Mizialko, the Vice President of the teachers’ union, says that working together with the school board is a step in the right direction. But she said it’s not the ultimate solution. In many recent years, the state budget has been tough on public schools…meanwhile, districts face strict state-imposed limits on raising revenue to offset expenses. Governor Scott Walker has started another conversation about a potential shake-up of Milwaukee Public Schools. There's been three proposed MPS "takeovers" over the last 20 years. During an interview on Channel 12's UpFront with Mike Gousha, Walker was asked about the MPS's challenges, such as budget constraints and teachers’ dissatisfaction. The governor replied that it may be necessary to split up the district or take other significant measures. 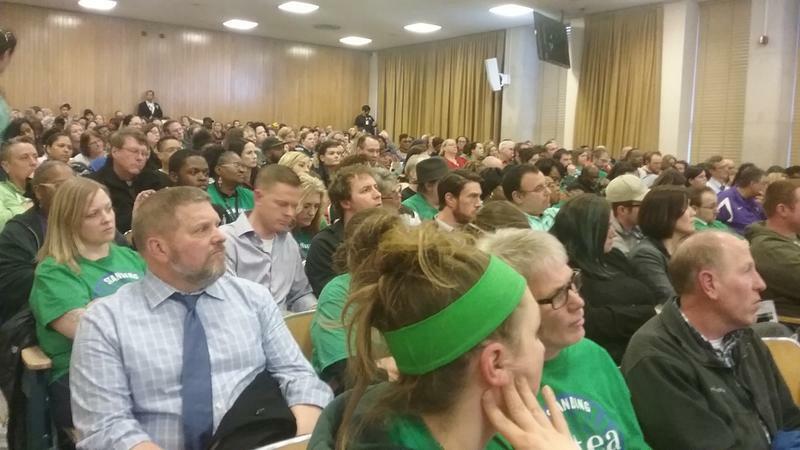 Hundreds of people packed into a room at the MPS Administration building Tuesday night, as Milwaukee Public School Board members held their first discussions on next year’s budget. The district faces a $38 million deficit. Superintendent Darienne Driver has proposed increasing employee health care contributions and raising co-pays for doctor visits as one way to save money. Emotions ran high, as scores of teachers and faculty members opposed the ideas. Is It Difficult for Milwaukee to Keep School Superintendents? Being superintendent is a tough job, and it may not be one in which it's easy to last. MPS finds itself having to look for a new school superintendent after Darienne Driver announced last week that she'll be leaving the post in July, after what will be at that point four years in the post. 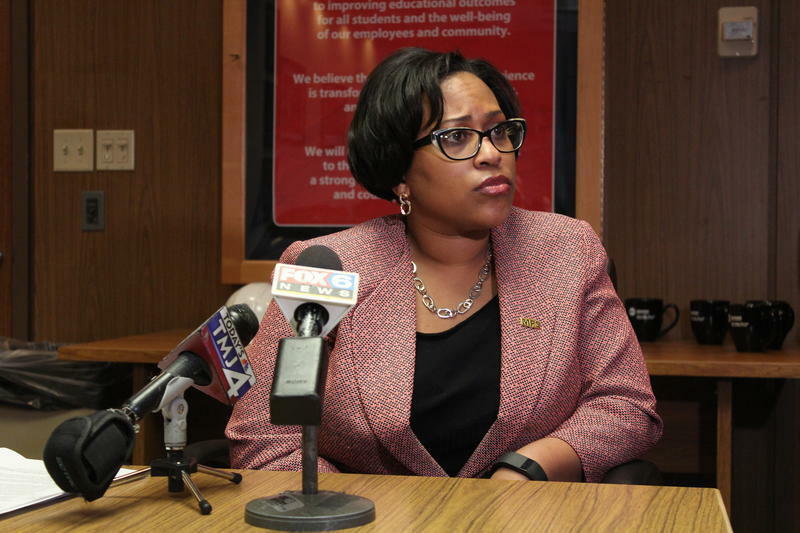 Her decision raised questions about superintendent turnover in Milwaukee.